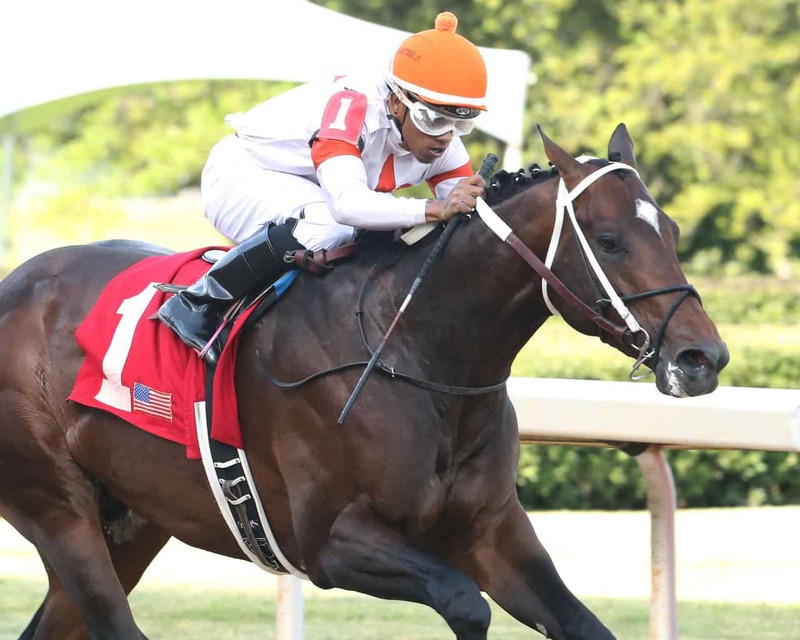 HOT SPRINGS, AR – William and Corinne Heiligbrodt’s Mitole romped home in stakes record-breaking time while never asked for his best in Thursday’s $150,000 Bachelor Stakes at Oaklawn Park. Sent postward as the heavy 2-5 favorite under Ricardo Santana, Jr., Mitole broke alertly from the rail and immediately took command, setting quick opening splits of :21.32 and :44.22. While Tin Badge and Mr. Jagermeister drew near through the far turn, Mitole seemed unfazed and found a new gear at the top of the stretch. Under only slight encouragement from his rider, Mitole drew off to hit the wire first by 9 lengths for the 6-furlong dirt sprint. The Steve Asmussen trainee’s final time of 1:08.40 eclipsed the previous mark of 1:09.09 set last year by Recruiting Ready. While no match for the winner, Mr. Jagermeister was much the best of the rest, taking second by 1 1/2 lengths over Supreme Aura. Tin Badge faded to fourth ahead of Best of Greeley and Bourne in Nixa. O’L Red was scratched. Mitole’s win was his third in five starts at Oaklawn Park in 2018 and stretches his overall record to 6-3-2-1. The 3-year-old son of Eskendereya has now earned $228,710 for owners who purchased him as a yearling for $140,000. Mitole returned $2.80 to win, $2.20 to place, and $2.10 to show. Mr. Jagermeister brought back $3.80 to place and $2.80 to show, while Supreme Aura paid $2.40 to show.